The United States Has an Emergency Fund for Natural Disasters. Why Not for Pandemics? Zika is spreading in Florida, and Congress still hasn’t released money for a response. It’s been nearly 200 days since the White House requested emergency funding in response to the spread of the Zika virus. So far, Congress has released exactly zero dollars, while more than 10,000 cases have been confirmed in the continental United States and Puerto Rico, according to the Centers for Disease Control and Prevention. 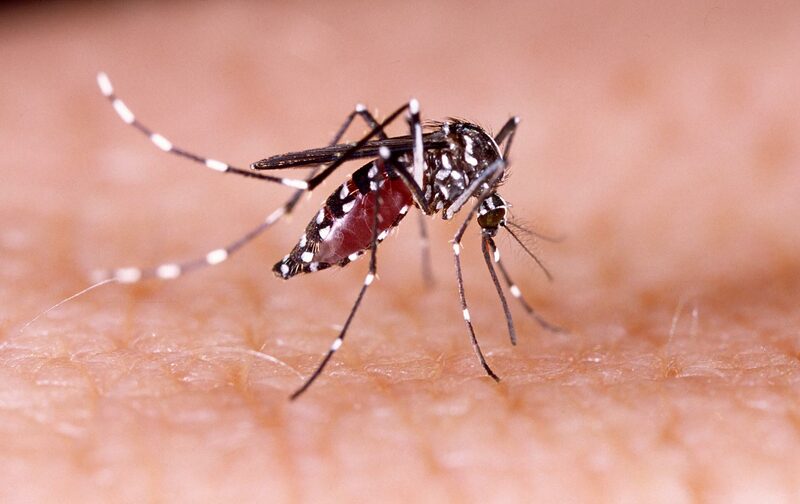 A handful of locally transmitted cases have popped up in Miami and Pinellas County, Florida. Next on the virus’ trajectory most likely are Louisiana, where standing water left after recent flooding creates ideal breeding territory for the mosquitos that carry Zika, and Texas. As the virus spreads, the research on its impacts on developing fetuses is growing increasingly grim. Brain scans of Brazilian babies whose mothers contracted Zika during pregnancy showed severely compromised nervous systems—brains filled with fluid or missing significant amounts of tissue, and damage to a range of neural structures, including those that control movement, speech, emotion, learning, and memory. The CDC estimates it could cost upwards of $10 million to care for children with microcephaly over their lifetimes, though that’s not the only long-term health issue associated with the virus. There will be considerable pressure for Congress to authorize an emergency spending package when lawmakers return to Washington in September. Without an infusion of federal dollars, development of a vaccine may slow. The Department of Health and Human Services has already shifted tens of millions away from other projects in order to fund the Zika response. But public-health experts and some lawmakers say they need more than emergency funding: They’re pushing for a permanent fund for health emergencies. The idea is to have a ready pot of money so that officials can respond to future disease outbreaks without being subject to congressional squabbles, and without robbing from other health initiatives, as the Obama administration had to do earlier this year. A similar fund exists for natural disasters; it’s administered by the Federal Emergency Management Agency, and this year received $7.4 billion from Congress. After this month’s devastating flooding in Louisiana, instead of waiting for politicians to haggle over an emergency aid package, FEMA was able to move quickly towards compensating residents. The agency has already approved more than $132 million for rental assistance, home repairs, and other aid. Congress set up a fund for public health emergencies in 1983, but it’s almost empty. Congress set up a similar fund for public-health emergencies in 1983. It was authorized to hold up to $45 million—but it’s almost empty, because lawmakers haven’t appropriate any money for the fund since 2000. Even $45 million is a tiny sum compared to what health officials have estimated they need for the Zika response, not to mention future health emergencies. In February, Democratic Representative Rosa DeLauro introduced a bill to inject the fund with $5 billion, while Republican representatives proposed a smaller $300 million fund. In the Senate, California Democrat Barbara Boxer recently proposed a $3 billion emergency fund. The Clinton campaign hasn’t said how large her proposed new fund would be. But to get a sense of what’s needed, consider how much the government set aside to prepare for other recent pandemics. In 2005, Congress appropriated $6.1 billion in emergency funding for H1N5, commonly known as bird flu. In 2009, Congress provided $7.7 billion for H1N1, or swine flu. The emergency-funding package for Ebola amounted to $5.5 billion. Watson said that even a fund of $1 billion would be a good place to start; it might not cover a full response to the next health emergency, but it would allow the process to begin. A permanent fund would be most effective, Watson added, if paired with more robust support for two preexisting sources of assistance for state and local health departments, the Hospital Preparedness Program and the Office of Public Health Emergency Preparedness. Zika has not created a sense of urgency the way Ebola did, perhaps because its most damaging effects are slow to develop and implicate a small slice of the population. Yet Republicans in Congress stalled in releasing Ebola funding, too. Both cases indicate that asking politicians, rather than health professionals, to determine which epidemics warrant a response, and when, is dangerous. In July, CDC director Tom Frieden blamed “inaction” for 9,000 Ebola-related deaths. As for Zika, it will be some time before we know its costs.